Hey ninjas, how are you all? I hope everything is smooth! What are you guys working on? Please let me know in the comments below. Today I want to quickly talk to you about how to check a laser level for accuracy. Laser level tools are among the construction industry’s most accurate instruments. While performing leveling tasks such as laying foundations, doing electrical work, wall layouts, cabinets, floor and wall tiling, drop ceilings, windows, and doors, accuracy is everything. A common assumption most construction workers and DIY hobbyists erroneously make is that new or even used laser level devices need no calibration. It is worth mentioning that laser levels are prone to occasional calibration errors or a fall in accuracy levels. So how to check a laser level for accuracy? Well, DIY ninjas and pro construction workers, this one’s for you. Before embarking on any vital measuring and leveling tasks, it is recommended to check the accuracy of your laser level. Faulty calibration or off-level accuracy can and often results in negative or disastrous consequences. In this regard, it is crucial to keep your laser level properly calibrated to ensure that the quality and the accuracy of your work falls within satisfactory standards. After purchasing a suitable laser level, it is upon you to check the calibration and accuracy to avoid any unnecessary surprises. Did you know that ambient temperature can influence your measurements? Your laser beam can be diverted especially when are temperature differences from the ground upward because thermal fluctuation is largest close to the ground. 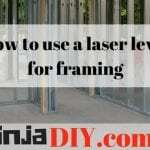 If possible, you should mount your laser level on a commercially available tripod and place your leveling tool in the center of the working area. Ambient temperature, external pressure, wear and tear, inappropriate handling and drops from high heights are the top causes of alterations in laser level accuracy. If your laser level device exceeds the maximum deviation allowed by the manufacturer during one of the tests, then you should see recalibration procedure or take it to the local tool supplier of your brand to do the recalibration for you. If you have a 360 laser level like Topcon or Leica or similar … this video might help you better to understand how to check if you laser level need calibration! Set up the laser level equipment. With the batteries or power source plugged in, mount the laser level on the tripod. Ensure that the tripod head is level using the tripod’s legs and a carpenter’s level. The laser level should be able to rotate freely on a 360-degree axis. If not, make any necessary adjustments until it does. Turn on the laser level and turn the device toward a target wall or surface. Place the laser level detector on the target surface. It should give off a signal, proceed to mark the target area. Repeat the process this time having rotated the laser level at an angle of 180 degrees. 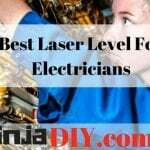 Make sure that while you are performing this step, the laser is at the same level as in the previous step. Place the laser level detector in the target area and make another marking. The main idea here is that the center point between the first marking and second marking at 180 degrees should be within your model’s tolerance range. Rotate the laser level to 90 degrees and aim the Y axis at the target surface. Mark the spot where the laser beam impacts. Then proceed to rotate the laser level to 180 degrees once more and make another mark. Check the difference between the marks to ascertain whether or not the vertical distance falls within the manufacturer’s stipulated range. If any of the beam’s axes fail to fall within the expected range, you might want to have your laser level calibrated. For this, you need to consult the user manual to identify the device’s allowable margin of error. A properly calibrated laser level can save you a great deal of trouble both in monetary terms and professional reputation. As mentioned, quality assurance in the construction industry ensures accurate measurements and high precision building standards. If you are a builder pro and need some advice or suggestions on laser levels … why don’t you check out our article about that here? You’ll find tons of information and good advice! Now let’s get back to our calibration process … sending your laser level back to the manufacturer for recalibration is a smart move that will not only ensure a longer service life from your device but also more saving and consequently bigger returns on your investment in the long run. So this is how to check a laser level for accuracy. In conclusion, I hope that with this little guide you will be able to determine the accuracy of your laser level with ease and if not please share your opinion with us and other ninjaDIYers. It will be most appreciate it, leave a comment below or get in touch. 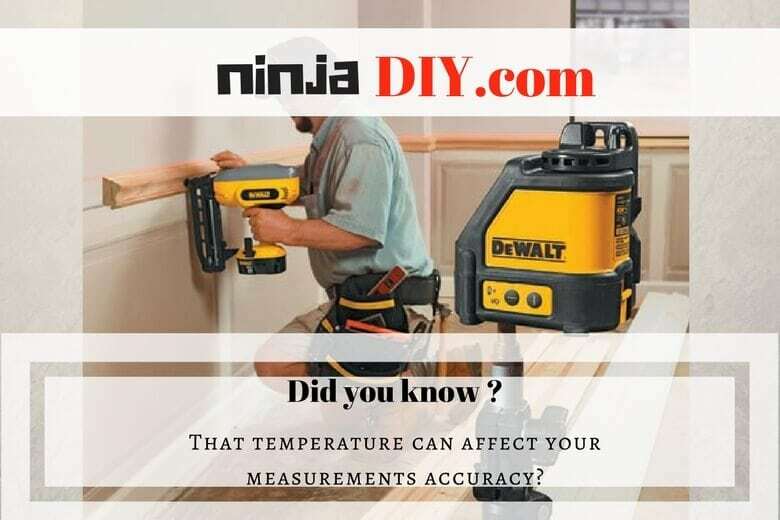 Don’t forget to check out laser level reviews on some of the best laser levels on the market for builders and DIY ninjas!